Creating art from an early age, Nene Thomas has been bringing fantasy and beauty to life on a professional basis since 1994. Inspired by Art Nouveau and the Pre-Raphaelites, her work has adorned a massive range of products, including her own original books. 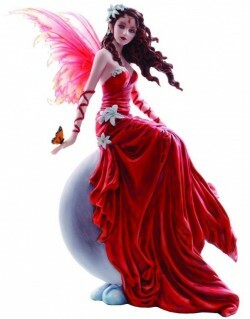 From the Nemesis Now Fairy Collection. Jan 2018 release.